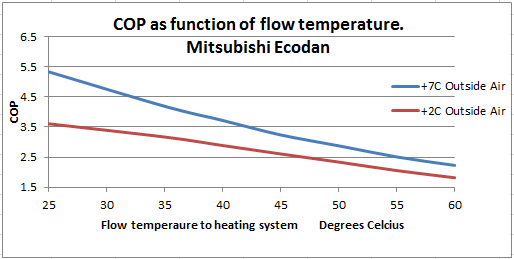 The values for the example graph above have been extracted from CIBSE, and show a general trend for a fixed heat output. It demonstrates what we all should know - the closer the spacing, the lower the required water temperature for the same heat output. (see top graph - The COP at 35°C is 3.1, at 26C its 3.1, saving 13% in COP). 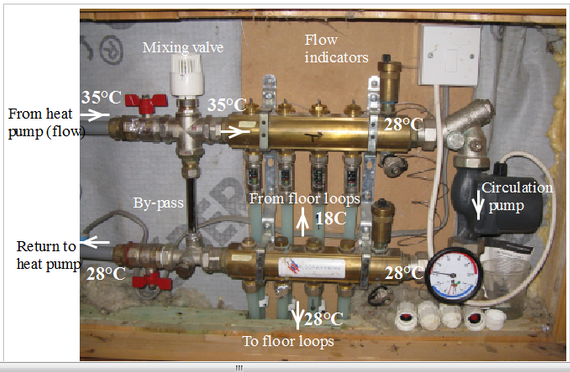 I have a manifold setup as you show in the picture with a mixer and circ pump although the mixer is fully open as you recommend and it works ok. Are you suggesting though that the mixer and pump can be removed completely? 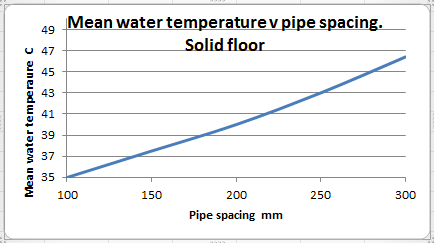 Would the GSHP alone be capable of circulating the water through 4 x 100m ufh loops ? The GSHP is a Viessmann 222G. This is a very interesting article and some interesting points. I live in Denmark and there is legislation about the maximum length of any pipe run. The majority of Underfloor Heating Systems here have a pipe spacing between 150mm and 200mm and are designed for temperatures down to -10C.